In October 1976, training units of the French Foreign Legion left Corsica. Having been stationed there since June 1962, they would move to mainland France. The training units of the Legion would be stationed at the town of Castelnaudary, their future garrison in the southern part of the country. 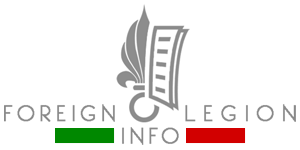 Aged 91, Hélie Denoix de Saint Marc, the main Foreign Legion figure participating in the Generals’ Putsch against French president Charles de Gaulle in Algeria in 1961, has died on August 26, 2013. Three videoclips, created and shared on YouTube by a former legionnaire of French nationality, with a large number of nice photos from the French Foreign Legion, made approximately 35 years ago (late 1970s, early 1980s). 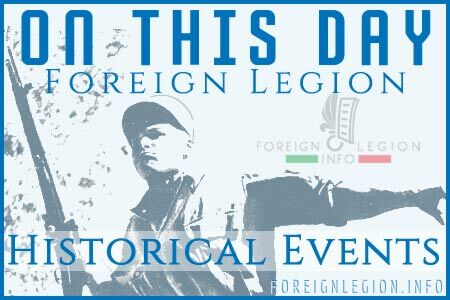 In October 1952, the Foreign Legion made a decision to create an independent heavy mortar unit. In 1954, there were three mortar units within the French Foreign Legion fighting in the First Indochina War. A parachute mortar company and the two infantry mortar companies composed of mixed elements: legionnaires and local anti-communist soldiers. These units used the 120mm heavy mortars. See history and a few images of the units. A short French documentary about the Foreign Legion released in 1949. Very nice images of the Foreign Legion main base in Sidi Bel Abbes (Algeria) while celebrating Camerone Day. A lot of legionnaires caught in the film will die during next five years in the First Indochina War. We can also see historical images of a typical legionnaires job of that time: hard-working with “la pioche“, a pickaxe. Syria, Homs, Damascus. Names we are hearing regularly in these days of 2012-13. 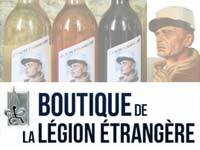 It is very interesting to discover the French Foreign Legion and its legionnaires were serving at these places for decades. In 1939, the Legion units serving in Syria were transformed into the 6th Foreign Infantry Regiment and just based at Homs and Damascus. In 1941, it was the only Foreign Legion regiment which remained loyal to the French Vichy regime (cooperating with Hitler). See the very little known history and some photos of the 6th Foreign Infantry Regiment.